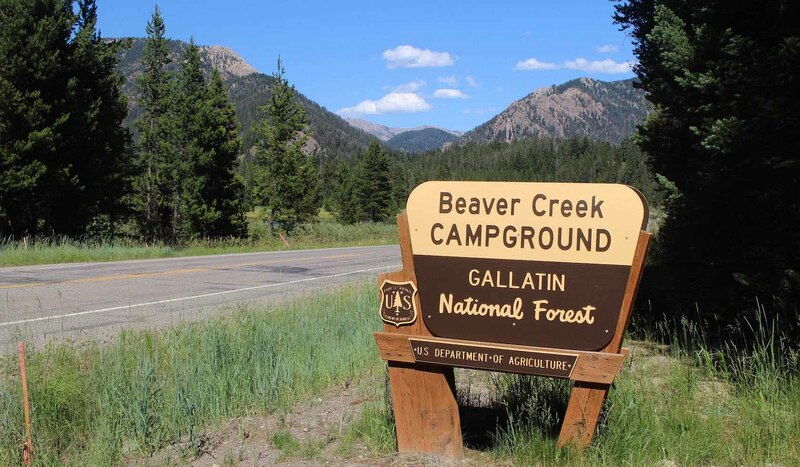 Beaver Creek Campground is located in the Gallatin National Forest in southwest Montana near West Yellowstone. At an elevation of 6,500 feet, this campground encompasses an area of 9 acres. There are 65 campsites, which have access to the campground's water and handicap accessible restrooms. Feel free to bring your pets but they must be on a leash in the campground. Fishing and boating may be enjoyed near by Quake Lake. There are trails from the campground to the lake. The campground is just a few miles from Hebgen Lake and the Earth Quake Visitor Center. The maximum trailer length is 30 feet. This is a fee based campground and stay limit is not to exceed 16 days.